Following the slightly underwhelming second episode of The Last Kingdom's second season, the third episode was a big improvement - even if it suffered from pacing issues. 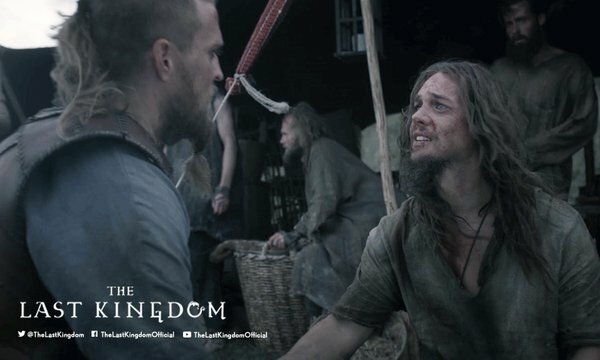 Uthred (Alexander Dreymon) and his war companion Aidan (Anthony Cozens) have been sold into slavery and the new king of Cumberland and Northumbria, Guthred (Thure Lindhardt), suffers the ramifications. For not killing Uthred, his traitorous uncle/usurper Ælfric (Joseph Millson) refuses to give Guthred the 200 spearmen he promised, leading to the brothers Sigefrid (Björn Bengtsson) and Erik (Christian Hillborg) walking away from the alliance to pillage the countryside. In Wessex, Alfred (David Dawson) sets out to make an alliance with Mercia by finding a suitable husband for his daughter Æthelflæd (Millie Brady), while Young Ragnar (Tobias Santelmann) and Brida (Emily Cox) go to Northern England to find their adopted brother. 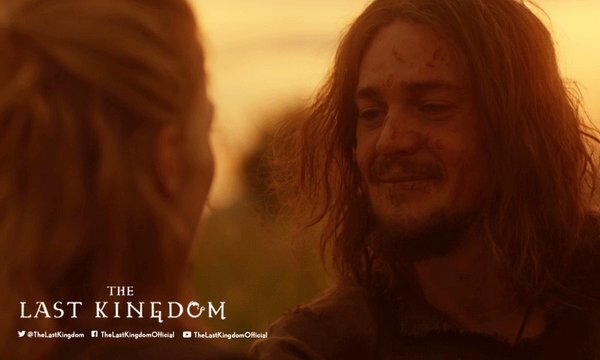 The third episode in The Last Kingdom second season is one of two halves: the first being about the political chaos in Northern England, the second focused on Uthred's attempts to escape his captors who have taken him across the North Sea. The first half is the more interesting, with Northumbria descending into chaos as the Vikings run rampant, while multiple factions have to investigate what happened to Uthred and where he is. This allows other members of the ensemble a chance to shine as they take on a more proactive role. Young Ragnar is one of the main beneficiaries: he is Uthred’s adopted brother, yet he has hardly had a role in the show. It is his biggest arc to date. One of Bernard Cornwell’s strengths as a novelist is his willingness to present a complex web of political intrigue and maneuvering, complete with different ideologies – both political and religious – and a complex web of character relations and interactions. The show's writer, Stephen Butchard has done a great job explaining the complexity of 9th Century England, showing that there are good and bad guys on the both sides of the conflict and that many people had their own self-interest at heart. Even if there is a friendship and respect with factions, like there is between Uthred and Alfred, the king has to think of the big picture and be willing to screw his friend over. That gives the show a more realistic and compelling viewpoint, even if it is still in the shadow of Game of Thrones. The weakness of the episode is Uthred's storyline because it is so incredibly rushed. The episode takes place over the course of winter and into spring. Uthred is shown trying to escape, loses his close friends, and within 30 minutes, he's shown as being psychologically broken before going back to normal when he's rescued. This is material that could have lasted two or three episodes and the psychological scars would have had an even bigger impact. Considering what Uthred has already been through in both seasons, it is strange that this event would break him. Butchard and director Jon East have forgotten one of the basic rules of visual media: show, don't tell. The episode needed to show more of the harsh treatment Uthred would have suffered for him to break like he did. Dreymon was not at fault, he provided a solid performance - he was ill-served by the script. The Last Kingdom's companion piece Vikings also has issues with skipping large portions of time (the first seasons have spanned over 20 years yet the main cast didn't seem to age) - yet Vikings did not skip over winter after the raiding season was over because of the power struggles in the rival kingdoms. The Last Kingdom should have followed that approach - be set over a couple of episodes because this episode was cluttered. Another example of this episode's issues with pacing and use of exposition are the events in Winchester. As a part of the newly agreed alliance between Wessex and Mercia, Alfred agrees to send troops to fight against Danish raiders. What could have been an excuse for some action and battle scenes was treated with only a few lines of dialogue. The third episode of the second season is a solid entry even if it tries to cover way too much ground for one episode.